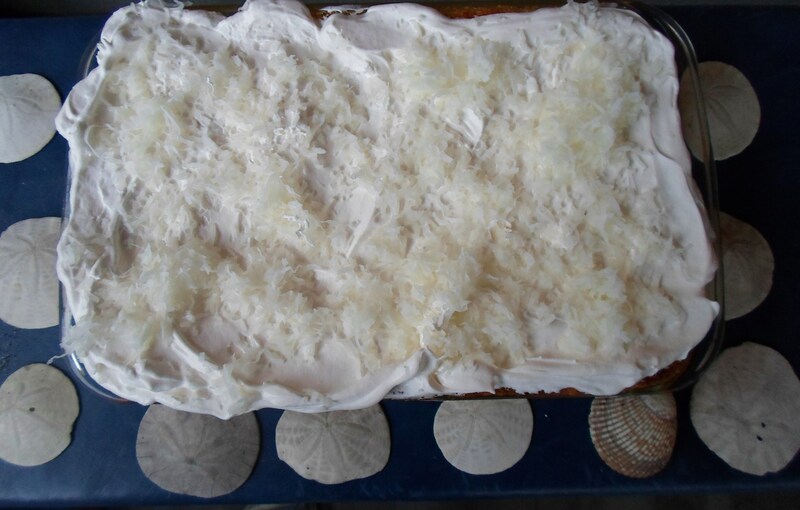 My mother, whom my kids and grandchildren call “Granny,” discovered and whipped up this low fat, low calorie light-as-a-cloud cake one summer to rave reviews. 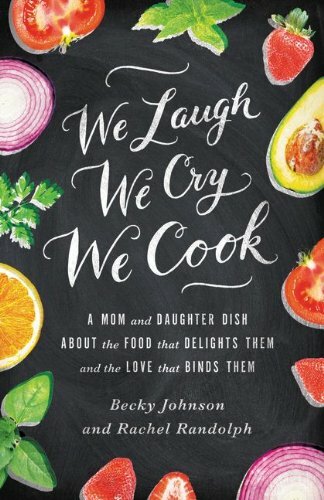 It was love at first bite – for those watching their waistlines, and for those who had no need or desire to do so. 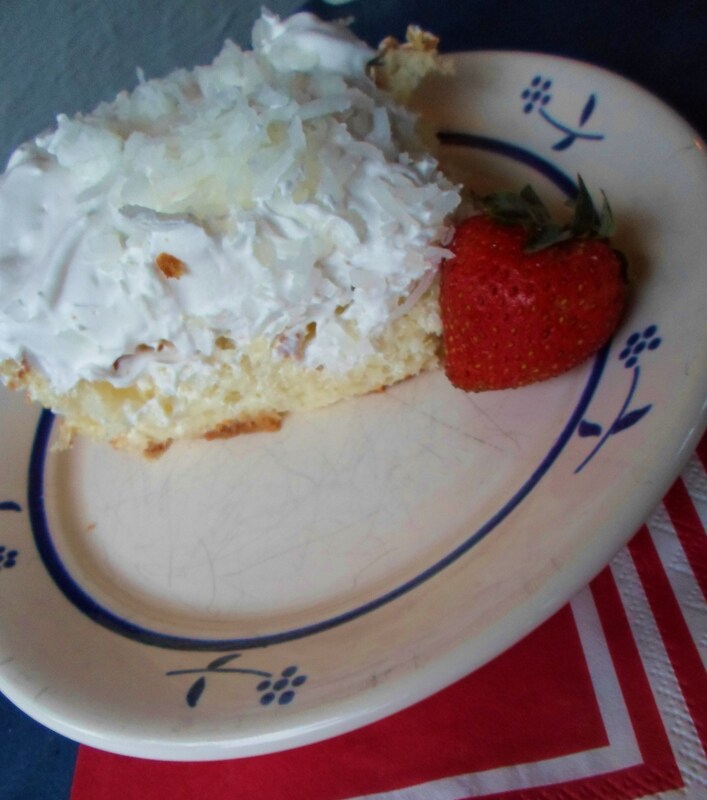 What our family couldn’t believe, when Mother shared the recipe, was how ridiculously easy it is to make. 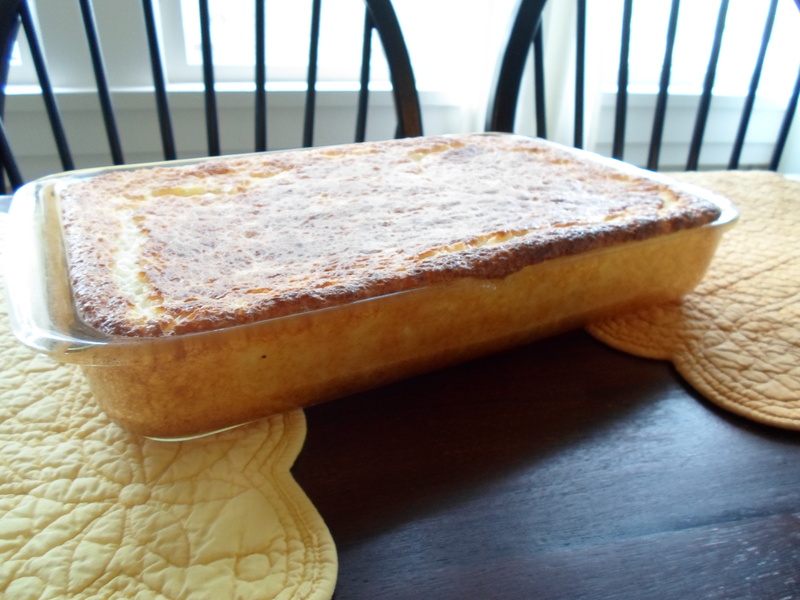 The cake itself is only two ingredients: an angel food cake mix and a large can of crushed pineapple. Stirred together with nothing but a whisk or a spoon. Honestly, a toddler can make this cake. And many a tiny grandchild has sat on my kitchen counter and done just that! Someone is eagerly watching his Nonny arrange the cake through the window! 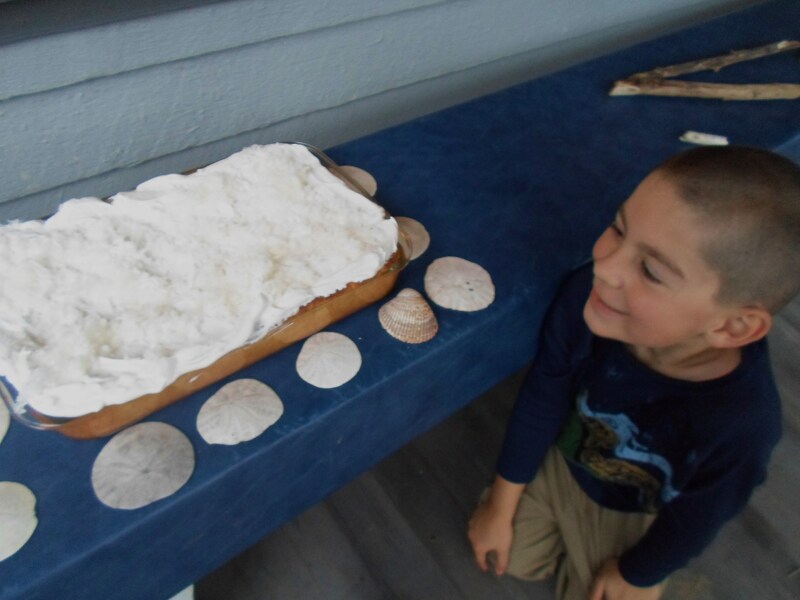 I motioned to my grandson Georgie to come out on the porch where he helped me arrange sand dollars around the cake, then looked on admiringly at our handiwork. George is more than ready to EAT his piece o’ cake after helping me decorate around it. Finally time to eat cake! And all declared it worth the wait and helping cheer us until the sun comes out again! 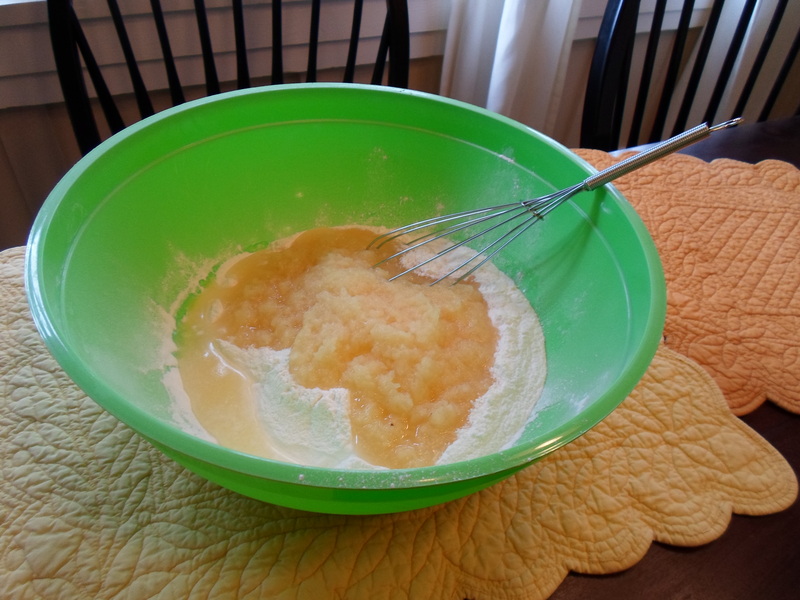 In a big bowl stir or whisk together one box of angel food cake mix and large can of crushed pineapple with juice. 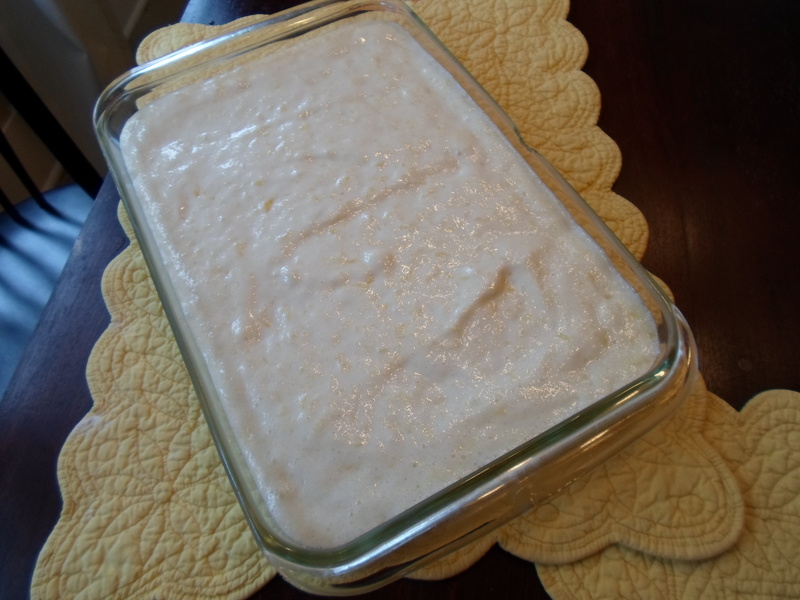 Pour into a large rectangle ungreased pan. Bake until golden brown, 25 to 30 minutes. 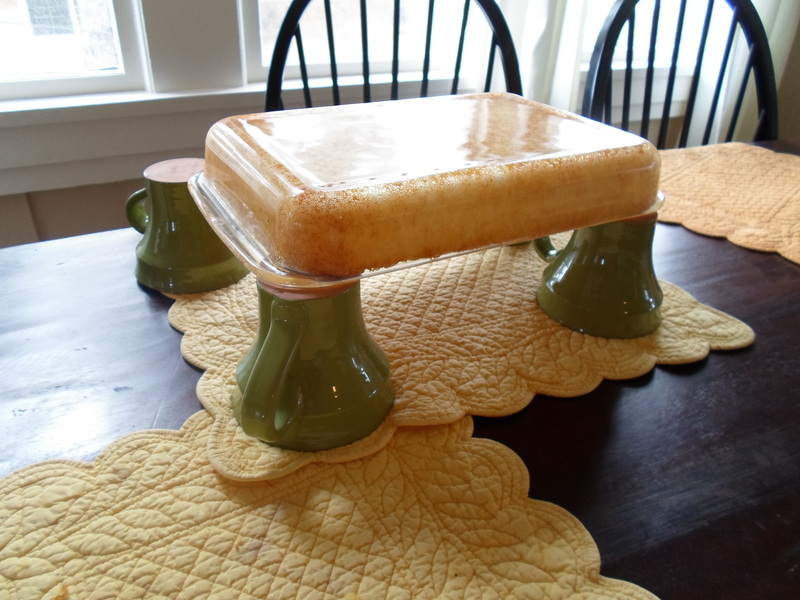 To cool, turn the cake upside down propping up on 4 cans or cups of equal height, at corners. Serve and enjoy. Keep in fridge, covered with plastic wrap. I’d forgotten about this cake. It was definitely a childhood favorite. 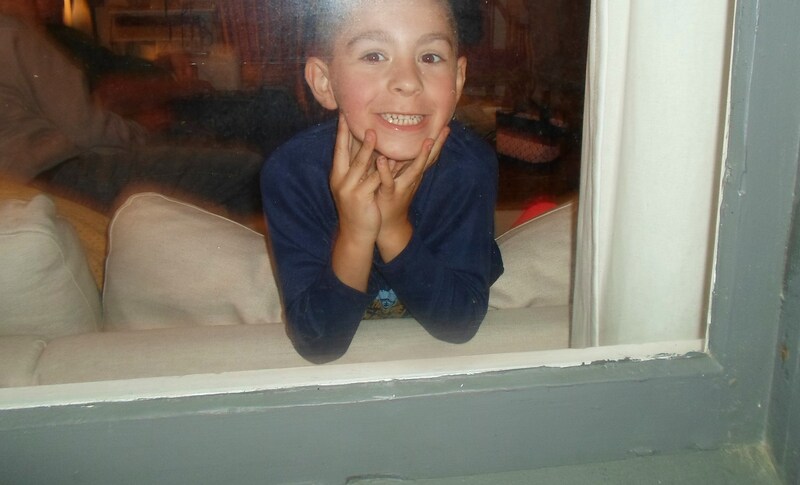 I just adore the picture of Georgie looking through the window. Give him hugs for us.